I started planning a trip to Africa (top of my bucket list) a year ago, fulfilling a lifelong dream. In the process of the numerous preparations, and my subsequent blabbing about going, a friend asked me if I had ever heard of Pack for a Purpose. I had no idea what it was or how it worked. 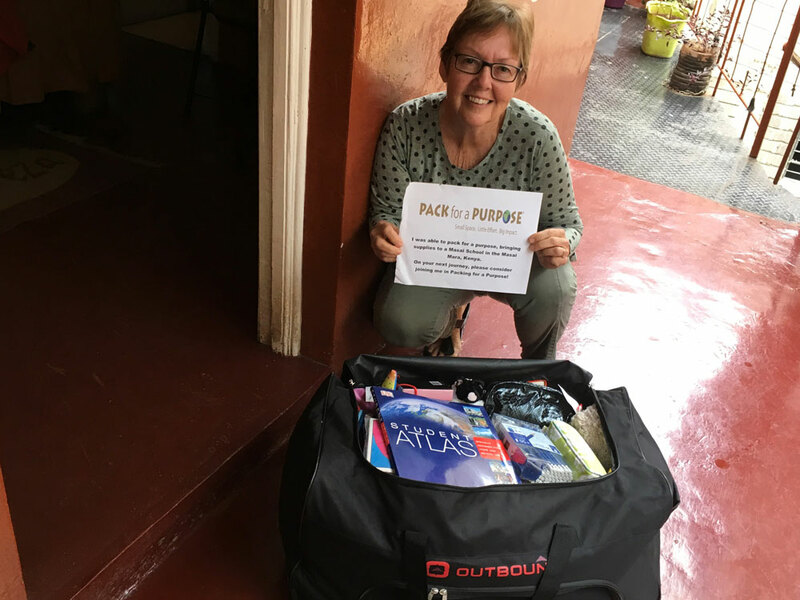 She mentioned that on previous “vacation” trips, she had contacted this nonprofit group and was able to actually bring much-needed supplies and donations to a variety of locations. The gears started rolling, one thing led to another, I packed for the trip and repacked…and finally, I realized that I had allowance for two bags but was only going to need one. That’s when the whole idea of using my extra bag “for a purpose” really took on another life. I contacted Rebecca at Pack for a Purpose, and the rest is history. She put me in touch with Saruni Mara, a game lodge in the Masai Mara, as I requested to help a school in the vicinity. The folks at the lodge responded immediately and provided me with a very modest list of much-needed school supplies and toys. I emailed the customers of our ladies’ boutique, asking for donations, mostly toys and school supplies, explaining that I would be bringing them to a school in Africa. I basically only had one week to make it happen. 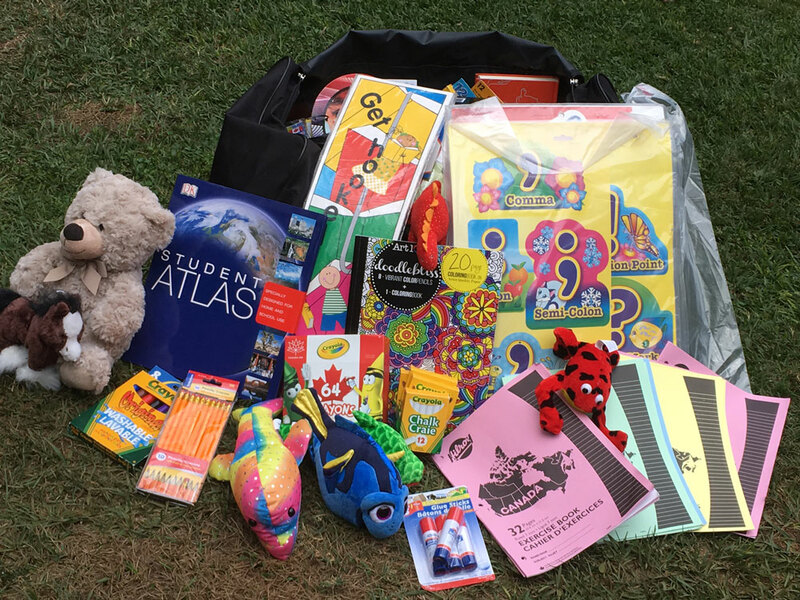 Almost immediately, the supplies started to pour in – crayons, colored pencils, pencil sharpeners, pencils, chalk, dictionaries, jump ropes, soccer balls with valves, stuffed toys, you name it! Every day, I would go to our store and collect the donations. They just kept on coming. It was amazing to see the outpouring from generous, kind-hearted Canadians. At the end of that week, I collected 54 pounds of supplies – so many that it required me to go out and buy a larger, duffle bag-style case to transport them. I then checked out the customs regulations for Kenya and was delighted to learn that educational materials are exempt from customs duties. The long awaited day of departure came and away I went to Kenya (two days from home). I had pre-arranged a meeting with the operations department of Saruni Mara in Nairobi, as I could not guarantee actually being able to deliver the supplies in person. They graciously came to my hotel and retrieved the supplies, noting that they would be delivered on the next scheduled delivery from Nairobi. 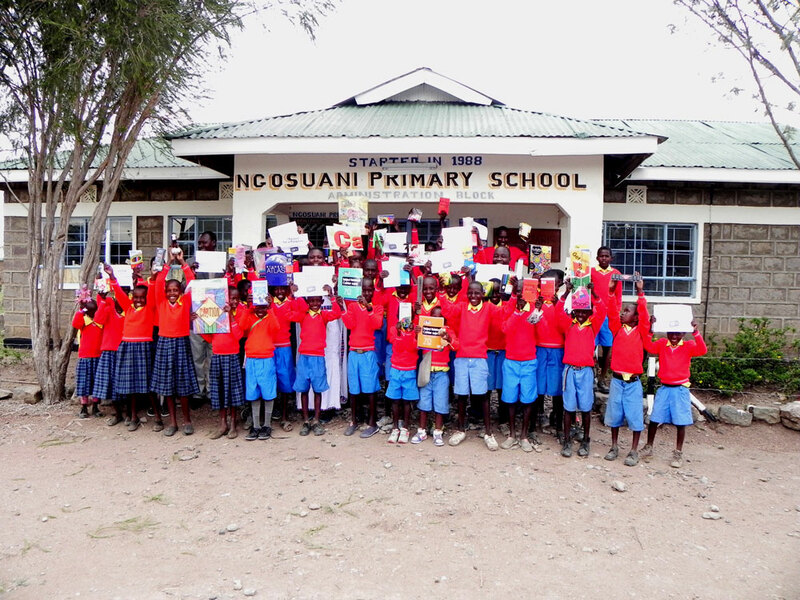 I kindly asked them to take photos at the school when the children were presented with their gifts. It took little effort to make such a huge difference in these children’s lives. 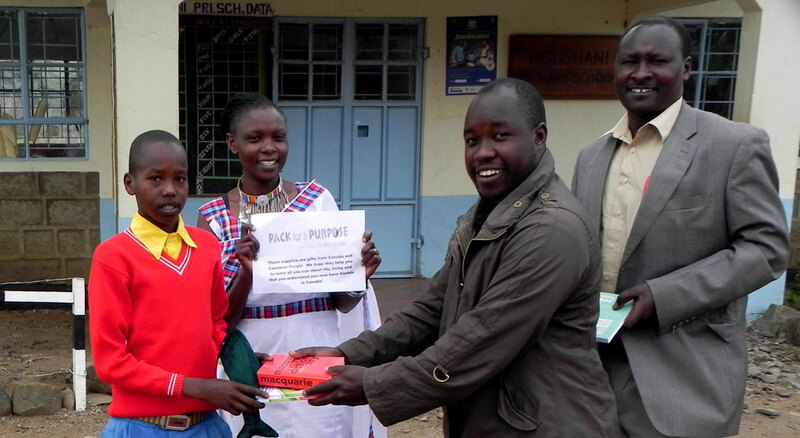 I would like to think that these supplies help them to learn more, achieve more and have a better life….all with the help of Pack for a Purpose! On your next trip, please consider making a difference as well!